Unfortunately, as John Lennon notably sang, life is what happens while you are making plans. In turn, not everyone is financially prepared for life as a long-term freelancer. As of recently, Orndorff needs some immediate financial assistance, and is currently behind on paying property taxes on his home. In turn, Orndorff has taken action with a GoFundMe campaign to help "Mr. Wonderful save his house." In the words of Travis Orndorff, as shown on that GoFundMe page: "After entertaining the world over, Mr Wonderful Paul Orndorff sacrificed his mind and body and is now in desperate financial abyss. He is in need of 10 thousand dollars to pay his property taxes or he will lose his house. We need to hit that goal by October 1st. Thank you for your donation and the largest donation submitted by 10/1 of at least 500 dollars will receive his Mr Wonderul black and gold robe if we hit our 10k dollar goal." Presently the campaign has raised over 3,000 USD of the $10,000 needed. This money has come from over 80 people who have pledged funds over the last 5 days. 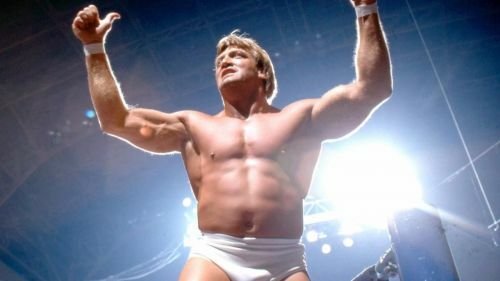 For more information on how you can help Paul Orndorff, you can visit www.gofundme.com/Mr-wonderful-save-his-house. WrestleMania 31: Why did Sting lose to Triple H in his debut match in WWE?